With national emphasis on increasing baccalaureate-prepared nurses, the role of the staff development educator of promoting lifelong learning is ideal for advising and mentoring non-bachelor's-prepared nurses to return to school. However, an understanding of the motivators and barriers for nurses to return to school is essential for success. A descriptive correlational research study was completed to determine the motivators and barriers of returning to school for registered nurses without a bachelor's degree. With the publication of the Institute of Medicine's (IOM) recommendation for 80% of nurses to have a bachelor's of science in nursing (BSN) by 2020 (IOM, 2010) and the push by the American Nurses Credentialing Center to increase the numbers of BSN-prepared nurses needed to achieve Magnet recognition, the emphasis by healthcare organizations to aid nurses to return to school has intensified. Likely fueling that increased interest is the research indicating that hospitals with higher percentages of BSN-prepared nurses have better patient outcomes (Aiken, Clarke, Cheung, Sloane, & Silber, 2003; Estabrooks, Midodzi, Cummings, Ricker, & Giovannetti, 2005; Friese, Lake, Aiken, Silber, & Sochalski, 2008; Tourangeau et al., 2007). Even in Magnet-recognized hospitals, the average percentage of BSN-prepared nurses is only 50% (American Nurses Credentialing Center, 2013). Increasing the likelihood of diploma or associate degree-prepared registered nurses (RNs) completing their BSN must be a priority if the IOM's goal is to be realized. The Nursing Professional Development: Scope and Standards of Practice (National Nursing Staff Development Organization & American Nurses Association, 2010) indicates that nursing professional development educators are to analyze issues and trends to determine the needs of individuals and organizations. On the basis of the evidence about patient outcomes, the call for increased numbers of BSN-prepared nurses is likely a sustained trend. Because nursing professional development educators are facilitators and change agents who support lifelong learning by advising and mentoring nurses as they execute a professional development plan (National Nursing Staff Development Organization & American Nurses Association, 2010), they are in an ideal position to encourage nurses to return to school. A thorough understanding of the motivators and barriers to returning to school for non-BSN-prepared nurses is essential for the nursing professional development educator to be successful. 1. What motivates nurses to return to school to get their BSN? 2. What are the perceived barriers for a nurse to return to school to get his/her BSN? 3. Do select sociodemographic variables have an effect on or correlate with various motivators, barriers, or the likelihood of going back to school in the next 5 years? Although there have been a number of studies investigating motivators and barriers to returning to school, most examined small samples of nurses who were already in an RN-BSN program of study or who had just graduated (Adorno, 2010; Delaney & Piscopo, 2004; Kalman, Wells, & Gavan, 2009; Leonard, 2003; Leonard & Bradford, 2009; Lillibridge & Fox, 2005; Megginson, 2008; Osterman, Asselin, & Cullen, 2009; Reilley, 2003; Zuzelo, 2001). Only a few studies actually investigated the general population of non-BSN nurses (Cavanaugh, 1990; Delaney & Piscopo, 2004; Orsolini-Hain, 2011). Potential motivators include increased pay, personal satisfaction, and professional advancement. Barriers to returning to school include financial concerns, inflexible schedules, competing priorities, family commitments, and lack of recognition. Additional research was needed to determine if these were the motivators and barriers for the general population of RNs who were not yet pursuing the BSN. A descriptive correlational survey was designed to identify the barriers and motivating factors of nurses for returning to school to get a BSN. In addition, participants were asked to respond to several questions with free text, and the responses were grouped according to theme. A convenience sample of non-BSN RNs was recruited from a large metropolitan healthcare system in Kentucky to participate in an anonymous online survey. Recruitment of participants was conducted through both mass e-mail and bulletin board postings. Participants could link to the survey in the e-mail, or they could select the link on the internal system Web site. In addition, research team members passed out information cards about the study while making rounds in unit areas. Follow-up e-mails were sent out at 2 and 3 weeks after the initial recruitment e-mail, thanking those who had already participated and encouraging those who had not participated to consider completing the survey. The survey, developed by the research team, was modeled after an instrument developed by Cavanaugh (1990). The potential motivators and barriers included in the current study also reflected the findings of other studies (Delaney & Piscopo, 2004; Megginson, 2008; Reilley, 2003; Zuzelo, 2001). The Cavanaugh instrument was determined to be reliable and valid. The coefficient alpha for the motivators subscale in the current study was .878 (based on 226 valid cases); the coefficient alpha for the barriers subscale was .672 (based on 235 valid cases). The survey was available for 4 weeks using SurveyMonkey. Prior to implementation of recruitment efforts, the Institutional Review Board approved the study. Participants were provided with a consent form at the beginning of the survey. Two-hundred and fifty non-BSN-prepared RNs participated in the study. Most respondents were female (90%) and held an associate's degree (84%); 11% were diploma graduates. Average age of the respondents was 42.9, average hours worked per week was 37.0, and average years as a nurse was 14.1. Respondents indicated that they worked in a variety of areas of practice, with no more than 15% of the respondents from any one area. Respondents were asked if the likelihood of their returning to school might occur in the next 5 years. Many indicated that they did not intend to pursue a BSN in the next 5 years (34%), 29% did intend to enroll in the next 5 years, and 25% were undecided. Twelve percent of respondents were already enrolled in a BSN program. Respondents were also asked to indicate their level of agreement with various potential motivators using a 4-point Likert scale (1 = strongly disagree and 4 = strongly agree; see Table 1). Highest levels of agreement were with the statements that financial support would make it easier to get a BSN (3.41), a BSN would make it easier to get a promotion to a leadership or education role (3.13), a BSN would be personally satisfying to me (2.84), and a BSN would make it easier to obtain another nursing position in general (2.83). These findings support the results of earlier studies. The lowest levels of agreement in regard to potential motivators were with statements that a BSN commands greater respect (2.16). Respondents did not seem to believe that the BSN led to increased respect in the nursing profession. This response is similar to the findings of Orsolini-Hain (2011). In addition, respondents indicated that they considered earning a BSN because a supervisor, educator, or peer had encouraged them to return to school (2.17). It was uncertain whether this score was low because encouragement by others was not deemed to be a motivator or because RNs were not receiving encouragement to return to school by supervisors, educators, or peers. Respondents' level of agreement with potential barriers was also assessed (see Table 2). The strongest level of agreement was noted with the statement that there were not enough financial rewards to return to school (3.11). The next highest barriers were a prohibitive financial situation (3.10) and inflexible work schedules (2.85). Interestingly, the length of time since last schooling (2.15) and lack of knowledge of computers (1.80) scored the lowest and, overall, did not seem to be strong barriers for the respondents. Open-ended questions were also used in the survey to provide respondents the opportunity to share other motivators and barriers with the research team. Respondents were asked what their top motivators would be to returning to school, and then the section was analyzed for themes. Respondents (n = 172) who answered this question indicated that greater financial assistance (34% of responses) and a pay differential for BSN (19%) were top motivators. It is also important to note that 26% of respondents indicated that nothing would motivate them to return to school. Respondents (n = 180) indicated that lack of money (30%), family responsibilities (18%), and no additional compensation (16%) were their top barriers. Thirteen percent of the respondents indicated that they were planning to retire soon. Pearson's and Kendall Tau correlations were calculated, as appropriate, between select demographic variables, motivators, and barriers. Age and years of practice both had moderate negative correlations with the likelihood of going back to school in the next 5 years (-.39 and -.41, p < .01). The higher the respondent's age or years of practice, the less likely he or she was to indicate plans to return to school in the next 5 years. There was also a moderate positive correlation between both years of age and years of practice; respondents stated they had been out of school too long and it would be intimidating to return (.32 and .40, p < .01). The higher the respondents' years of age or years of practice, the more likely they were to agree that it would be intimidating to return to school. Respondents noted that lack of financial assistance was a barrier and that the provision of financial assistance would help motivate them to return to school. In the healthcare system surveyed, several funding opportunities were available to staff including tuition reimbursement and educational loans that were paid back with a work commitment, not with funds. It was not known if the opportunities for funding within the organization were well known, so education was provided to staff to encourage use of the available funds. Respondents also noted that additional pay for receiving a BSN would motivate them to return to school and that the lack of additional compensation was a barrier. In many organizations, no hourly pay increase exists for the higher degree. The literature indicates that nurses with a BSN do, on the whole, make more money in their career than nurses without a BSN. 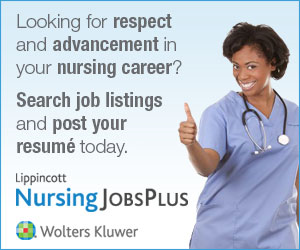 This has been attributed to the increase in higher-paying roles that are available to BSN-prepared nurses (Graf, 2006). In addition, although the cost of returning to school has not been shown to be offset by the increased income for older nurses, younger nurses should see a positive return on their investment during their career (Graf, 2006). Respondents indicated a low level of agreement with the statement that they had considered going back to school because a supervisor, educator, or peer had encouraged them to do so. The research team believed this might have received a low score because supervisors, educators, and peers were not regularly encouraging non-BSN nurses to return to school, so communicating it more frequently may be effective. However, for encouragement to be effective as a motivator, it should incorporate the basic adult learning principles of emphasizing why nurses should return to school and what the nurses could gain from doing so, such as where they can get financial assistance, and that BSN-prepared nurses do make more, in general, over their careers than non-BSN-prepared nurses. Inflexible work schedules were also noted to be a barrier to returning to school. Development of flexible work options and leadership support for returning to school could effectively remove this barrier. Education on the availability of flexible programs of study might help as well. Online programs, for example, can provide greater flexibility. There is a limitation in this study. Participants were employed at a single hospital system in Kentucky; therefore, the results may not be generalizable to nurses in other regions. As nursing professional development educators look for activities that meet organizational objectives in the most efficient way, the results that indicate that the younger, less experienced staff are more likely to return to school could, in fact, help focus a nursing professional development educators' efforts. These efforts should be focused on those likely to return to school or those who may still be undecided. Those nurses may have fewer barriers and need less motivation to return to school. The nursing professional development educator, as facilitator and change agent, can have the greatest effect on getting nurses to return to school by using every opportunity to mentor, encourage, and educate staff about the opportunities available to return to school for advanced degrees. Nursing professional development educators may have opportunities to discuss options with staff while making rounds on the nursing units or in a class such as orientation. However, every contact with a non-BSN nurse could be used as an opportunity to ask about returning to school, market its relevance and value, and answer questions. Knowing about and being prepared to address the most common barriers and motivators can help nursing professional development educators be more successful in getting nurses to return to school to obtain a BSN.